Prof. Dr. Joachim K. Rennstich is an expert in the areas of long-term globalization, international social work, and research methods. His research focuses on digital capitalism, the evolutionary development of globalization processes and the impact of technology on social systems and has published widely on these and other topics, combining nearly two decades of experience both inside and outside of academia. He was born and grew up in Asia, spent his youth in both, southern and northern Germany, and studied, worked, and lived in the United States throughout the first decade of the 2000s. Rennstich currently holds the International Social Work and Research Methods professorship at the CVJM-Hochschule in Kassel, Germany. Outside of school, you can find him roaming the woods and fields in the rolling hills of North Hessia with his dog, Lizzy, capturing the world on his iPhone or enjoying the arts. J.K. Rennstich (2019). Evolutionary systems theory: concepts and schools in international relations. In R. Marlin-Bennett (Hrsg. ), Oxford Research Encyclopedia of International Studies. Oxford: Oxford University Press. C. Köber, R. Weihofen, J.K. Rennstich (2017). Echoes of the past: The relation of redemption and contamination in Congolese narratives to social distant attitudes towards Europeans. Imagination, Cognition and Personality, 37(2), 224–243. J.K. Rennstich (2017). Multilevel governance as a global governance challenge: Assumptions, methods, shortcomings and future directions. In R. Marlin-Bennett (Ed. ), Oxford Research Encyclopedia of Politics. Oxford: Oxford University Press. J.K. Rennstich (2008). 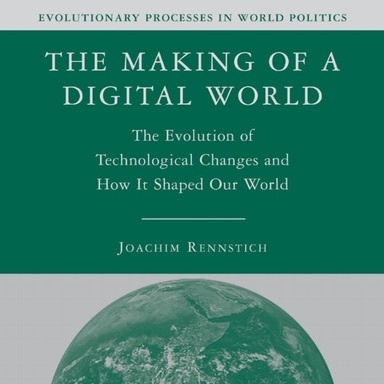 The making of a digital world: the evolution of technological change and how it shaped our world. New York: Palgrave Macmillan. J.K. Rennstich (2019). The world system in the information age: structure, processes, and technologies. In R. Marlin-Bennett (Ed. ), Oxford Research Encyclopedia of International Studies. Oxford: Oxford University Press. J.K. Rennstich (2019). Creative online collaboration: a special challenge for co-creation. Education and Information Technologies, 24(2), 1835–1836. J.K. Rennstich (Ed.) (2019). Creative online collaboration: a special challenge for co-creation [Special Section]. Education and Information Technologies, 24(2), 1835–1900. J.K. Rennstich (2018). Globale Dimensionen der gegenwärtigen Migrationsbewegungen. In B. Dümling, K. Löchelt, & G. Zimmerman (Eds. ), Christliche Jugendarbeit in der Migrationsgesellschaft. Begegnungen mit kultureller und religiöser Vielfalt. (Vol. 3, pp. 27–49). Neukirchen-Vluyn: Neukirchener. Creative online collaboration: a special challenge for co-creation (EAIT Special Section) The special section in Education and Information Technologies has been published now in print and online. The trend towards digitally facilitated collaboration is irreversible. Basic tasks comprise communication, sharing of documents and documentation of the working process. Technical solutions that enable collaborative work exist aplenty and are constantly evolving. However, the main challenges involved in digitally facilitated collaborative work that includes elements of creative co-creation—typically found in the area of higher education or professional settings that involve creative and design tasks—can be found in the facilitation of creative environments in “virtual space”. HFD-Themenwoche 2018 The HFD (German Forum for Higher Education in the Digital Age) hosted its second conference week in Berlin and I attended the Hochschulforum Digitalisierung (HFD) Themenwoche/conference “Shaping the Digital Turn” for a session on Data Literacy Education on 28 Sep 2018 at the Allianz Forum Berlin for the “Future Skills Day”. During this final session of the conference the most promising universities applying for grants in the Data Literacy Education program presented themselves in a public jury meeting during this event (with a final selection of for proposals). Developing a common stakeholder-driven mobile data collection and -analysis platform for the World YMCA combined with a plug-and-play e-learning server. 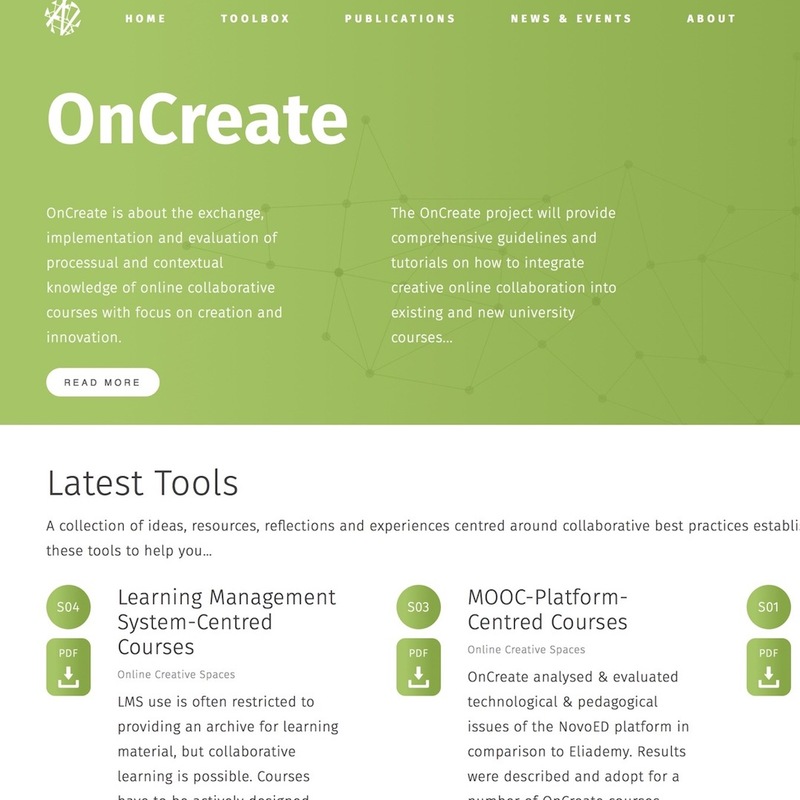 One of the first funded Erasmus+ Horizon2020 projects, OnCreate (2014–1-DE01-KA203–000706) provided research on the exchange, implementation and evaluation of processual and contextual knowledge of online collaborative courses with focus on creation and innovation. Develops a model of world system development as a complex adaptive social system. The model is then empirically tested focusing on the two core dimensions, the economic and political developmental processes. 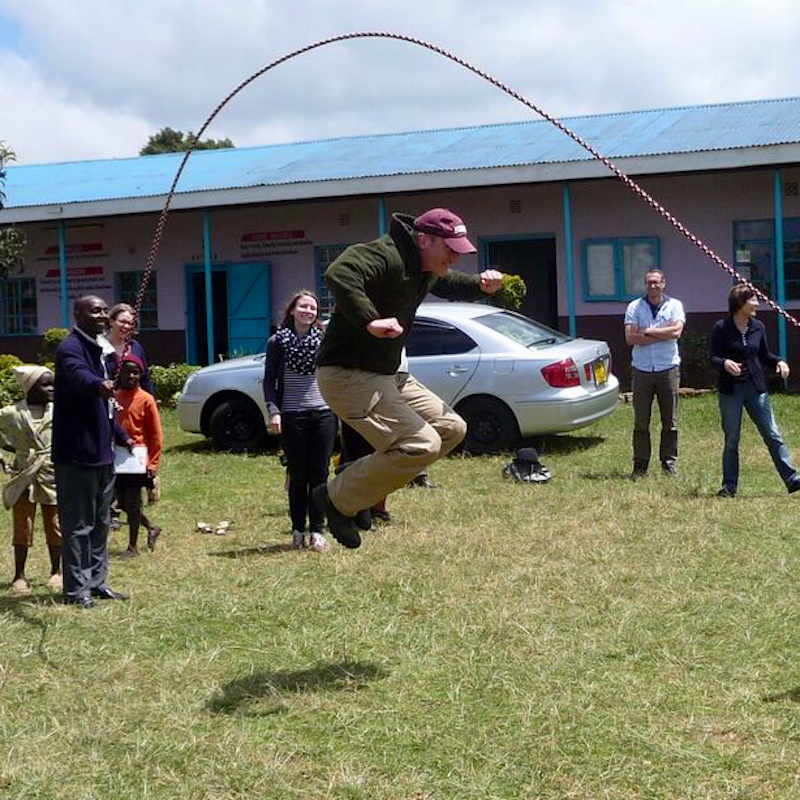 In addition, I am mentoring students during their practical semesters (mostly abroad) as part of our service-learning programs. For a full list courses taught, click here.